Thomas Eje born March 15. 1957 in Frederiksberg, Copenhagen, Denmark. Actor, Entertainer, Musician, Singer, Comedian, Impersonator and Artist. Married to Bristol artist Katherine Scrivens Eje. His musical careers began in school in 1967 when he and two buddies formed WILD FIELD BLUES BAND. 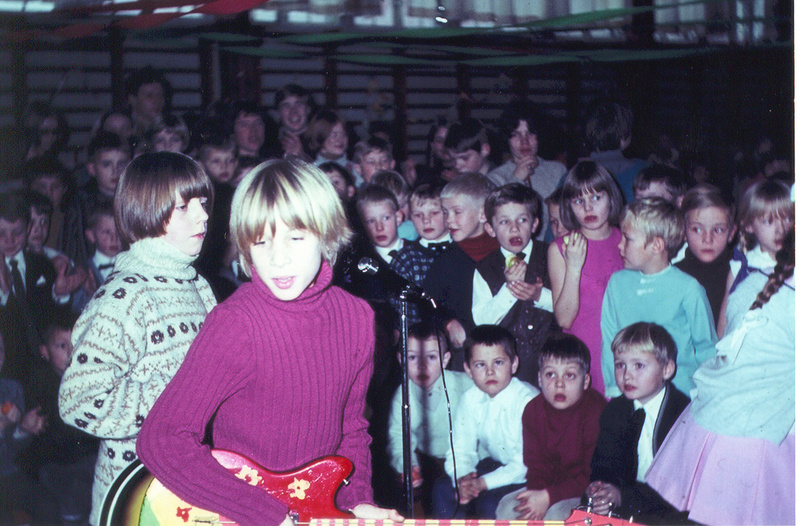 They performed in the local school environment and in 1968 they were invited by “Country Joe & The Fish” to perform as a special feature at one of their concerts in the Tivoil Gardens concert hall. This was followed up by the danish national TV with a special about the young band and aired in 1969. Later in 1975 Thomas Eje took up classical music studying the Bassoon with Professor at the Royal Danish Music Conservatory in Copenhagen Aage Bredahl, along with studies in music theory, ear training and choir singing with conductor Axel Pedersen at “The Danish Music Academy” and piano studies with Mogens Holck Petersen. In 1976 he attended the Music Conservatory in the danish town of Odense where he continued bassoon studies with Hagbard Knudsen and Kai Danvad as well as piano studies with Rosalind Bevan. Music is therefore the great common denominator for Thomas Eje as musician (of course), actor, Painter and indeed as impersonator and entertainer. Apart from the Bassoon and Piano he has continued to grow his skills on Guitar, Vibraphone, Violin, Cello, Harmonica, Trumpet, Trombone, Tenor Sax and Bluegrass style Banjo. At the same time Thomas Eje worked as an extra at Odense Theatre in “Fiddler On A Roof” and the Opera “Carmen”. He then developed a sweet tooth for the theatre metier. In 1978, after studies with actors Peter Marcell and Finn Arvé, he auditioned and was accepted at Århus Theatre Acting Academy where he graduated with roles in “Sweet Charity”, “Le Préjugé vaincu” by Marivaux, “Cloud Nine” by Caroll Churchill and as “Darlei Larsen” in “The Giraffe from New Orleans” which was written for the graduating class by Steen Kaalø. Thomas Eje then moved back to Copenhagen where he worked at most of the main theaters in the city. Betty Nansen Teatret in “Irma La Douce”, “Mass Appeal”, “The Cherry Orchard” and “Da Jazzen Kom Til Byen”. Four seasons at Folketeatret in the traditional danish christmas play “Jul i Nøddebo Præstegaard”, “Tartuffe”, Ain’t Misbehavin’”, “Næbbet Napper Narrens Næse”, “The Gønge Cheiftain”, “Treasure Island” and “He Who Laughs Last” – 3 vaudevilles by Hans Christian Andersen: “A Comedy in the green”, “The Bird In The Peartree” and “A Night In Roskilde”. Falconer Theatre in “3 Guys Naked From The Waist Down” and Nørrebros Teater as “Mr. Cellophane” in the musical “Chicago”. Later at Det Ny Teater as prison governor Frank in the operetta “The Bat” by Strauss. As “Abildgaard” in “Hurra, Ein Junge” by Arnold & Bach at Lorry and “See How They Run” at Privatteatret. “Gluntarna” on tour and the musical drama: “Comics” by Bent Lorentzen with Aarhus Symphony Orchestra. Thomas Eje also starred in “Hornbaek Revue” and “Tivoli Revue” after which he was awarded “Comedian Of Th Year” in 1985. Thomas Eje has also appeared in major TV drama productions on national danish TV such as: “Mikkels Motiver”, “Kasimir and Karoline”, “Niels Klim’s Underground Travels”, “Andorra”, “Fælden”, “Kometen” and TV series “Matador”, “Brdr. Mortensens Jul”, “Skibet I Skilteskoven”, “Do-Re-Mi”, “Scyy Det Er Lørdag”, “Smil Du Er På”, “Ikke Lutter Lagkage”, “Nissebanden”, “Bror Smart & Bror Klog”, “UF TV Satire”, and hosted 12 shows of “Scandinavia’s Funniest Home Videos” (Hit Med Videoen). In 1978 Thomas Eje met his colleagues Anders Bircow and Preben Kristensen and they formed the comedy/harmony song group “Linie 3”. The group had it’s debut at a restaurant called “Jacob’s Bar B Q” in the danish town of Aarhus in 1979. In 1980 the danish national TV decided to make a TV special with the show: “Show For Fun – a mix of comedy, harmony singing and musical extravagance”. The show was a great success and the group experienced “overnight fame” on may 3rd 1980. Followed by 6 live shows in prime-time saturday night that summer, they became the most talked about event since the reign of “King of Diamonds”. 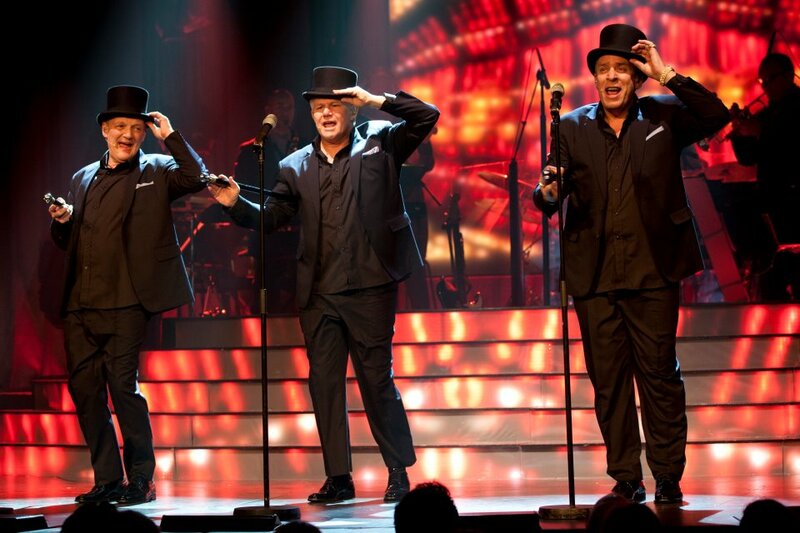 Linie 3 have been touring Denmark and other countries ever since and are still going strong after more than 35 years. In 1986 Linie 3 initiated a cooperation with band leader Jan Glæsel who still to this day is accompanying the group. Linie 3 has since the beginning in 1980 appeared in countless live and TV productions and in 1988 they represented Denmark at the international TV festival in Montreux. And in 1989 they did a grand tour of the major cities on the US west coast. Since 1980 Thomas Eje have also been active as a soloist in many contexts. Early in his career he started a close relationship with the late renowned Jazz pianist and band leader Max Leth. For more than 17 years they traveled around Denmark doing dinner shows, concerts and corporate gigs everywhere and beyond, sometimes with the legendary “Max Leth Quartet” with great danish jazz musicians as Niels Henning Ørsted Pedersen, Fritz von Bülow, Alex Riel, Hugo Rasmussen, Ole Molin, Jacob Fischer, Bjarne Rostvold, Mads Vinding and Aage Tanggaard. After Max Leth retired Thomas Eje has worked with musical directors such as Steen Holkenov, Frede Ewert, Henrik Krogsgaard, Jon Lundager, Peder Kragerup, Niels Jørgen Steen, Jan Glæsel and Mads Granum and his orchestra. In 1995-1998 Thomas Eje wrote and produced his “companion piece” with the “innovative” title: “Thomas Eje Show”. The show ran in Tivoli’s Concert Hall, Falconer Concert Hall in Copenhagen and Herning Exhibition Centre (1700, 2100, and 5.300 seaters). The show was a great success and was shown repeatedly on national TV and sold more than 140.000 VHS/ DVD’s. The show featured an 11 piece show band and a more than 70 piece symphony orchestra and 6 dancers. This was followed up in 2003 with the show: “Imens De To Andre Er I Føtex” which performed in Falconer Concert Hall and toured all the larger venues throughout Denmark and was also showed on danish national TV and on DVD. In 2005 Thomas Eje traveled to Las Vegas to attempt to build a career. He performed several shows at North Las Vegas Library Theatre, The Suncoast Casino and Planet Hollywood, but he never found proper foothold in Sin City and returned to Denmark in 2008. Today Thomas Eje is very active as a soloist. Still striving for perfection in every detail with every performance. Always trying to improve himself and his material no matter what level he is on professionally. Thomas Eje Show comes in different variants: 45-50 minutes with piano accompaniment or with band (4 pcs) or Concert version 2 x 45 minutes also with piano accompaniment or band. The show can be tailor fit to almost any occasion. Thomas Eje has appeared in a great number of TV productions over the years. In his property of being an actor he has appeared in numerous TV drama productions, entertainment show productions, TV series, children’s programs, talk shows and hosting family entertainment series. Thomas Eje has starred and appeared in more than 15 feature films and tons of commercial spots as well as hundreds of voice-over characters for TV and cinema. Thomas Eje is also a renowned painter and sculptor and has been creative with art for more than 50 years since growing up in a family of artists. He is married to artist Katherine Scrivens Eje. They are both owners of GALLERI SCRIVENS & EJE in their home town of Sønderborg in Denmark. Thomas Eje is also a professionally trained pilot and aircraft owner. (IR-A-ME).